Welcome to Wyoming. Wind River, to be exact. In this Indian Reservation lies a lot of cold, snowy weather and a constant air of misery for many who live here. US Fish and Wildlife Service agent/tracker Cory Lambert (Jeremy Renner) is called on to look into a situation that involves local cattle being killed by another predator. Upon his investigation, Lambert stumbles upon a frozen corpse, a corpse that wasn’t prepared for the harsh outside elements. Foul play is suspected. The corpse is identified as Natalie Hanson, an 18 year-old resident of the reservation. Now a murder mystery, FBI rookie agent Jane Banner (Elizabeth Olsen) is called into the Wyoming setting to investigate. Ill-prepared for Wind River, Banner must rely on her instincts and the guile of Lambert to solve this case and bring justice to Natalie and her remaining family. It’s clear that the modern day Western genre bears little resemblance to the Westerns of yesteryear inhabited by John Wayne, Walter Brennan, and the like. Instead, today’s movies that could be classified as Westerns take inspiration from that genre but homogenize with others; think Sicario, Hell or High Water, and now Wind River. All three of these movies share a common tie: the writing credit of Taylor Sheridan. With Wind River, Sheridan gets the opportunity to direct what he writes. The result is a crime feature that doesn’t quite match the brilliance of his most recent writing, but shows more than enough to see Sheridan mentioned in the same future conversation as his directing contemporaries. 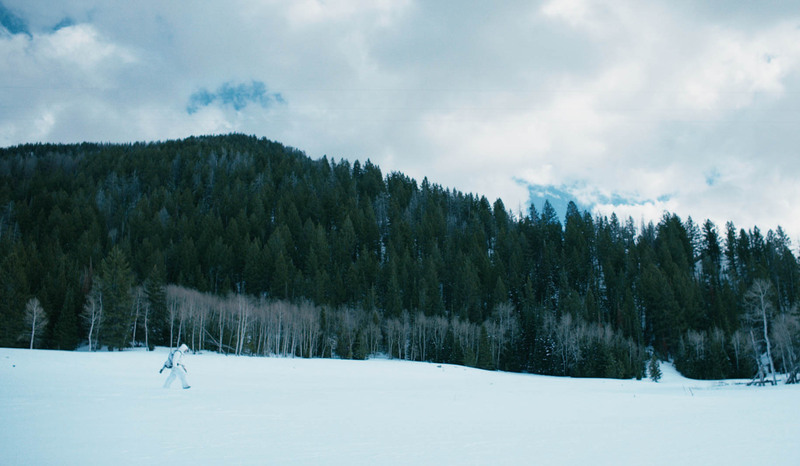 Wind River is a little bit of a slow burn—almost agonizingly so—at least in the early going. Sheridan’s first act introduces a few details, but overall, it seems to serve as an environment setup more than real story setup. 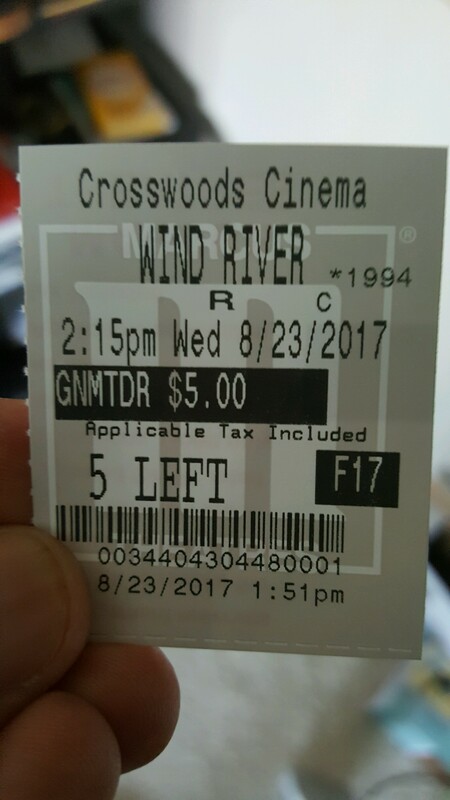 However, Wind River does kick into gear around the time the awesome Gil Birmingham comes into the frame. Unlike his somewhat light character in Hell or High Water, Birmingham plays a somber, detached Native American father trying to cope with what happened to his daughter. From here, the straightforward story finds its groove. While not as thematically complex as his prior work, Sheridan uses Wind River, inspired by true events, to shine light on—albeit not without legitimate white hero controversy—many Native American reservations and the hopelessness/negligence that they may carry. They may not resemble the traditional looking ghettos, but the mental and draining effect this environment has on many of the movie’s characters is entirely the same, pushing them towards bad things or paralyzing inaction. The environment is more of a living and breathing character than almost all in the movie. Technically, Sheridan isn’t perfect yet; some aforementioned early pacing issues exist. A prolonged flashback, although filling in what exactly happened, sort of comes out of nowhere. But, an old-fashioned Mexican standoff that evolves into a big set piece, and a mid-movie suspect visit stand as some of the year’s most tension-drenched moments. Wind River does come up short in one half of the lead character department. That’s no indictment on Elizabeth Olsen, she makes the most of what is presented to her and carries enough chemistry with Jeremy. This is Renner’s movie, however, and credit goes to Sheridan for writing a very detailed lead in Cory Lambert with gradual backstory revealed that draws the audience closer to his personal journey. It would have been easy for Renner to play this as a Liam Neeson knockoff, but Renner doesn’t, instead opting for a realistic and everyman approach. He’s a cowboy without the gusto, but a believer in frontier justice. His work here is a reminder that Renner’s is more than just a 2nd team Avenger. The water isn’t particularly deep or 100% purified in Wind River. But ultimately, it is compelling as a simple pseudo-Western crime feature. Photo credits go to collider.com, cinemavine.com, and bleedingcool.com.